On February 15, 2015, WM/Reuters adopted a five minute window to calculate its 4 p.m. currency benchmark rates, also known as the “Fix”. In the summer of 2015, Pragma published research showing that this change, in conjunction with the industry’s reported shift toward automated handling of Fix orders, created predictable patterns in currency trading around the Fix. Banks shifted away from handling Fix orders as principal trades on the spot desk toward agency style execution, specifically time weighted average price (TWAP) algorithms that trade steadily during the five minute Fix window. The systematic concentration of demand imbalances during this five minute interval created strong momentum in rate changes throughout the Fix window, followed by a marked reversion. This pattern is especially strong on month and quarter ends, and allows firms to improve trading performance relative to the Fix without private information. 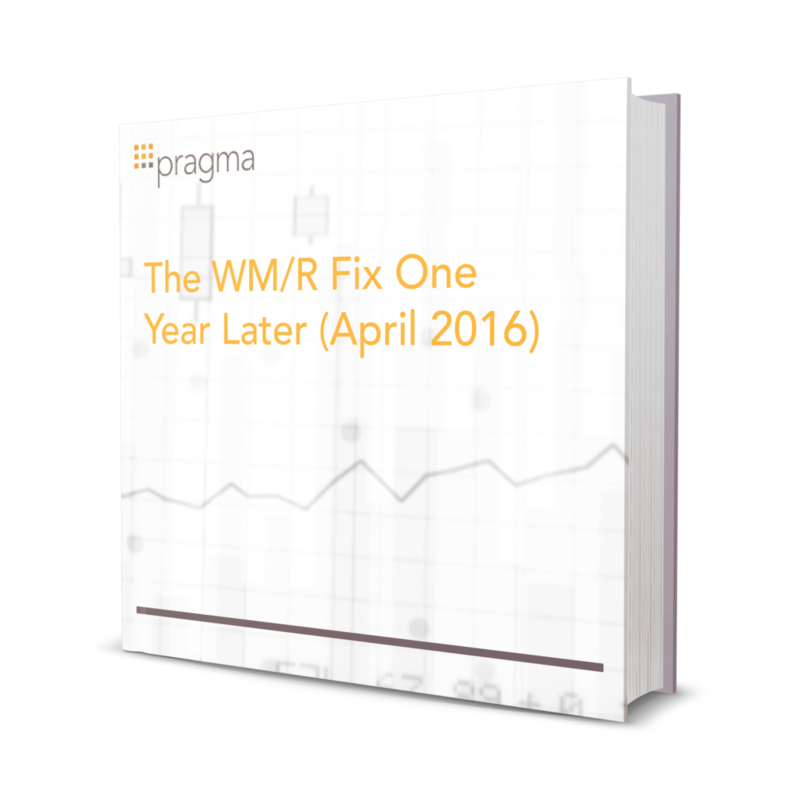 Pragma has announced SmartFix, an execution algorithm that takes advantage of the pattern to achieve better execution for firms targeting the WM/ Reuters benchmark.